Last night, I had an idea. I had been considering what the best way was memorize the basics of the periodic table, and I decided I would write a program that would simply generate a number between 1 and 84, and, if I entered the correct abbreviation for the name of the element with the corresponding atomic number, it would give me a happy message saying good job. Otherwise, it would say no, give me the answer, and ask me a different question. I could do some nice rapid-fire studying with that. Besides, my Facebook friends might appreciate the irony of me writing a program to help memorize the periodic table. So I dig my Netbook out of my backpack and open it up. I resume (it was in sleep mode), log in, surf to a few pages reminding me how to use the rand() function, then my computer sings and a popup appears. This popup tells me I’m running out of battery, but I don’t bother reading it. I know what the sound means. I can plug it in after I get to the end of this paragraph. Five seconds later, my computer shuts down. I plug it in and charge it up, then turn it back on. I load up Windows 7 Starter Edition, thinking of how slow it runs on this machine, and log in. I wait for about fifteen seconds for the operating system to load my desktop- what were you loading before? The box where I type my password?- and finally get to my desktop. My ugly desktop with a smug little Microsoft logo in the middle because I don’t own my operating system and can’t change anything about it because it’s already perfect. 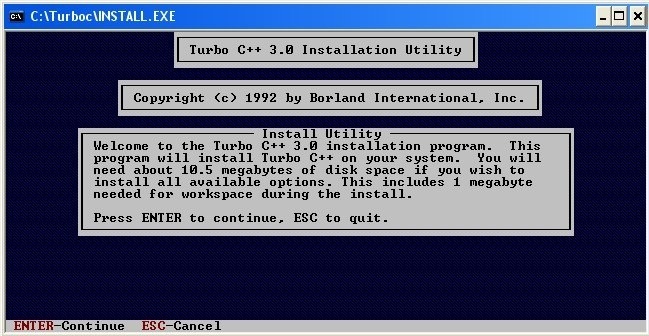 So I start up Visual C++ 2008. It reminds me that I only have 16 days left to register my (free) product, so I give in and click on the popup. This takes thirty seconds because I hadn’t yet connected to wifi (I thought it does that when you log in?) and I had two tabs already open. It tells me to sign in to Microsoft (that’s an interesting way of putting it), which I do. Once that is done, it asks me to fill out a long series of questions, or, if I don’t want to waste my time, I can scroll to the bottom and click cancel. Again, I do so. This deposits me at a page entitled “help with registering visual c++ 2008″. This is not a guide. It an FAQ. Worse, it’s a forum. Instead of simply giving me a code, it is going to make me hunt down the page that will send me an email containing the code which I will need to enter and send back to them through their product. I go back to Visual C++. I open up the project I already made, and create a new source code file. It objects to my wanting it to auto-generate a simple name for it, forcing me to input something. This makes a reasonable amount of sense, but it wouldn’t be that hard for it to title the file “main1.cpp”. I go back to the webpages explaining random number generation in C and C++. I watch what they do, and try typing up my own program. I hit F5 to compile the code (make it run), and I get an error message. I frown, go over my code, and see nothing wrong. I copy and paste the code from the tutorial into Visual C++, and hit F5. I get a freakin’ error message. This is not some dotcom bubble washed-up site. This is cprogramming.com, a fairly popular and frequented site with very up-to-date tutorials. It. won’t. compile. What in the name of root is this? It’s so… Ancient! It’s a DOSBOX program! I haven’t even managed to set that up on 7 yet! Argh! I won’t be writing that studying program tonight.